Become a member of the CSA. Attending annual meetings, volunteering for service, and contributing to our society journal build your network and connection to fellow agronomists throughout Canada. The CSA organizes an annual conference to provide members with a forum to keep current on the latest agronomy research and strengthen communication and collaboration among agronomists from across Canada. The Canadian Journal of Plant Science is our society’s journal. Members participate in CJPS by contributing manuscripts and serving as editors. 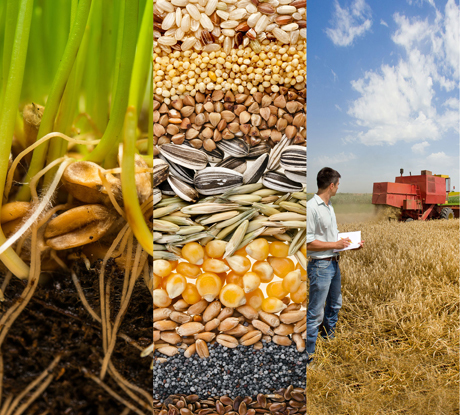 Agronomy is the science and practice of crop production to produce food, feed, fiber, and fuel. Agronomists need to understand plants, soils, insects, microorganisms, climate and how they interact with each other within agroecosystems. Agronomists work every day to improve crop production practices, breed improved crop varieties, develop improved pest management practices and minimize the impact of agriculture on the environment. The Canadian Society of Agronomy is a non-profit society of agronomy professionals promoting the science and profession of agronomy and facilitating linkages among members.